Gloriosa daisies are a strain of black-eyed Susan that was developed in the United States, and is now grown world-wide. The center of the is brown and surrounded by petals in shades of yellow, gold and mahogany. The six-inch blossoms available in double or single forms. Plants are erect and thick stemmed, and grow two to three feet tall. Gloriosa daisies are actually biennials or short-lived perennials, but are often grown as annuals because they bloom the first year. Sow the seeds outdoors any time in the fall or as early in the spring as the ground can be cultivated. Plants transplant well and should be spaced 12 to 15 inches apart. They reseed themselves readily, so watch for seedlings in subsequent years. Gloriosa daisies are superb, long-lasting cut flowers and cutting encourages the plants to send out more blossoms. They grow well in almost any soil, and look great in beds or borders, and in full sun or part shade. 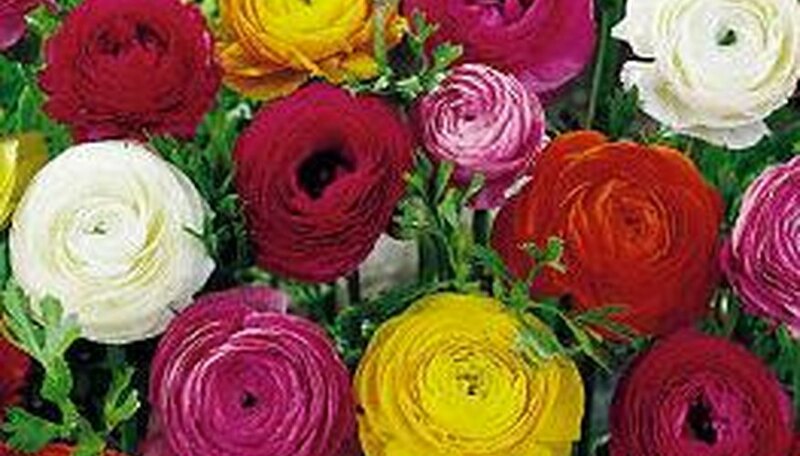 Ranunculus offers a showy display in bright shades of yellow, gold, red, pink, white and orange. Related to Anemones, these hybrid camellia-flowered buttercups come in many colors, from bright reds and golds to delicious pastel pinks and whites as well as lovely picotees. Each plant will bear many blooms. They like cool night temperatures around 48F degrees and warmer days (55F to 60F). Lovely outside in warmer areas or in a cool greenhouse in the north. Bulbs should be planted in autumn. The multi-colored blooms of the Tecolot strain is shown here. The Shasta daisy is a creation of plant breeder Luther Burbank, who for 15 years interbred wild species of chrysanthemums from various parts of the world to produce this modern mainstay of perennial gardens. They range in size from 1 to 3 feet tall and will bloom some time between mid-summer and fall. The flowers, as large as 6 inches across, come in single, double and anemone forms, and are nearly all snow white with occasional tinges of yellow. 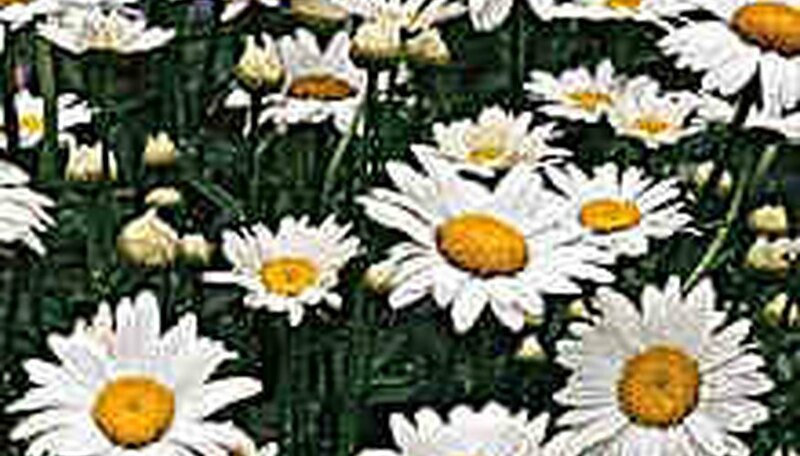 Shasta daisies do well in Zones 4-10 and do best in full sun. They need a soil that has been enriched with organic material such as compost, leaf mold or cow manure. They will need ample watering during the growing season and good drainage while dormant in the winter. Space the plants 12 to 14 inches apart. They are easily grown from seed in the spring, but those grown from seed will not bloom until the second season. Division of clumps is the prefered method of propogation, and this can be done in the spring. To prolong the bloom pick off flowers as soon as they fade. To prevent overcrowding, divide painted daisies and Shasta daisies after three or four years of flowering, feverfews after one or two years. The most widely used everlastings, statice has a large flower head of small, papery blooms on stiff stems. The small flowers are held in dense, large clusters above the gray-green foliage. They are unsurpassed for fresh and dried arrangements. Statice is easy to grow and salt tolerant. Seeds can be started indoors 6-8 weeks before planting or sown directly outdoors. Division may be done in early to late spring or root cuttings can be taken in mid-winter and grown indoors or in a coldframe until spring. It is resistant to deer and will bloom all summer long. The ideal place for epimedium is in a classical Japanese garden at the water's edge. It makes a great groundcover and the overlapping heart'shaped leaves soften rocky landscapes. The foliage is attractive in year round--in spring the new leaves are tinted with pink or red; in summer they are marked by beautiful veins; in fall they turn bronze and may remain all winter if the plant is in a protected location. The interesting, four-petaled flowers dangle in clusters at the end of wiry stems. E. diphyllum, a native Japanese plant, is a dwarf species that grows 6-8 inches high. Leaves are 2 to 3 inches long, and its flowers are white, 3/4 to 1 inch across. Blooms appear in early spring. Bishop's hat, native to Korea as well as Japan, also has 2- to 3-inch-long leaves, but grows 9 to 12 inches high and has 1-inch-long flowers in colors ranging from white and yellow to rose and violet, depending on the variety. It blooms in late spring and early summer. Shown is E. grandiflorum. Epimediums spread by means of creeping underground stems to become sizable clumps, but this growth is slow. They are hardy in Zones 4-8. 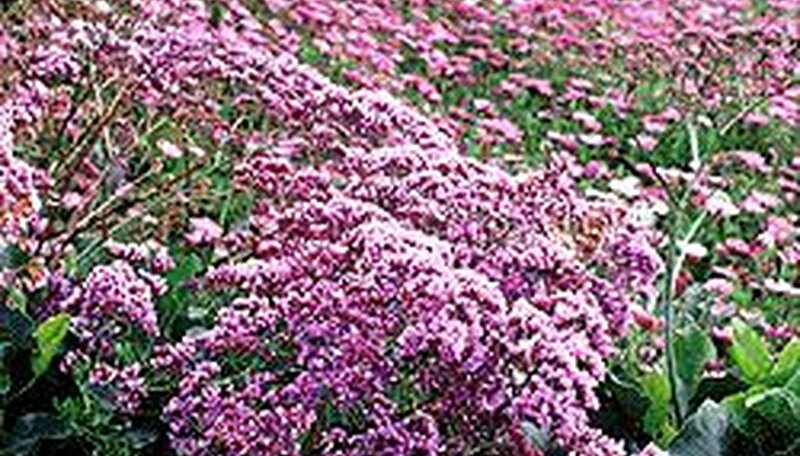 They do best in partial shade and a rich, moist, well-drained soil supplemented with peat moss or leaf mold. Plant them in fall or spring, spacing them 8 to 10 inches apart. In early spring, clip plants back to ground level to dispose of old leaves, which might interfere with new growth. Propagate by division in midsummer. Uses: border, bed, cut flowers, rock garden, containers. This rugged flower is grown in the warmer regions of the country, especially where summers are dry. 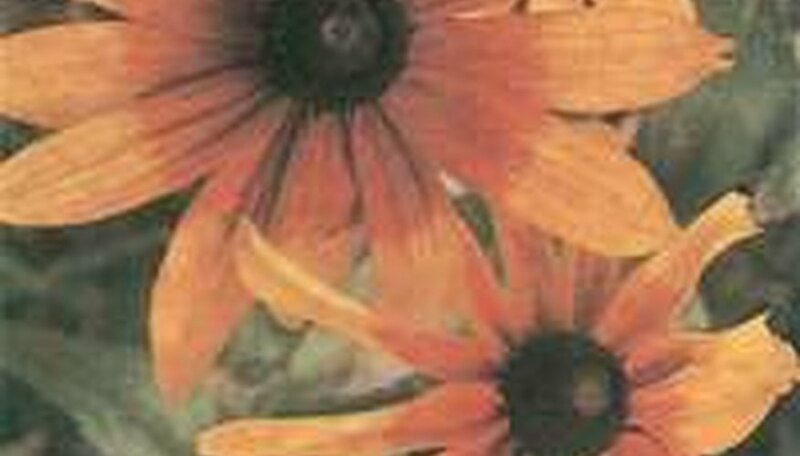 They feature brilliantly colored blooms with bright yellow centers ringed with dark brown. Many flowers are bi-colored or tri-colored. All do well in pots and they are a cutting bed favorite. Wand flowers like a fertile soil that is somewhat sandy and full sun, but they are not drought tolerant. A Southern exposure is preferred. 'Telecote' is the cultivar. pictured. This clump-forming perennial spreads quickly, giving a look of maturity to a new garden. The plant flowers over a long period and the daisy-like flowers are suitable for cutting. The flowers attract bees and butterflies. 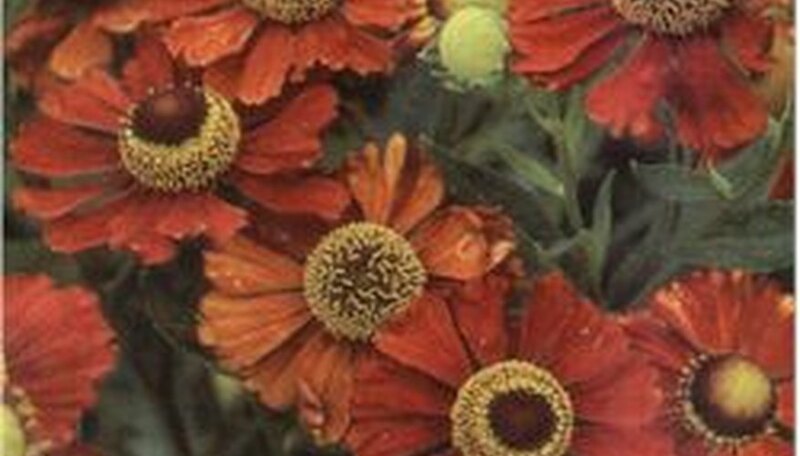 Helenium thrives in any fertile soil that is moist but well-drained. You may need to provide support for taller varieites. Pick off the faded flowers to prolong flowering, and divide the plant every two or three years in spring or fall to prevent overcrowding. Grows to four feet with redish-brown flowerheads, 2-1/2 to 3-1/2 in diameter. Blooms in late summer and early fall. These 2-3 inch diameter bright yellow flowers bloom from late summer to early fall. Plants reach a height of 3 feet. The dark copper-red flowers are 2-3 inches in and bloom all summer. Plants grow three feet in height. Uses: Beds, borders, wildflower meadows, cut flowers, dried flowers. Very drought resistant. Coreopsis bears the unfortunate nickname "Tickseed" because the seeds resemble ticks. Coreopsis may stop blooming for a while in the hottest part of the summer. In northern climates, use a mulch to protect the roots over winter. These are called thread-leaved coreopsis and the lacy foliage is interesting even when the plant isn't in bloom. The plant is 1' to 3' tall, and the flowers are yellow. Includes the popular cultivars 'Moonbeam' and 'Zagreb'. This is a lovely variety growing 12" to 30" tall. It self-seeds readily and is a dependable, permanent addition to the wildflower meadow. Includes the cultivar 'Double Sunburst'. This is a pink coreopsis with single blooms that grows to about 2' tall. 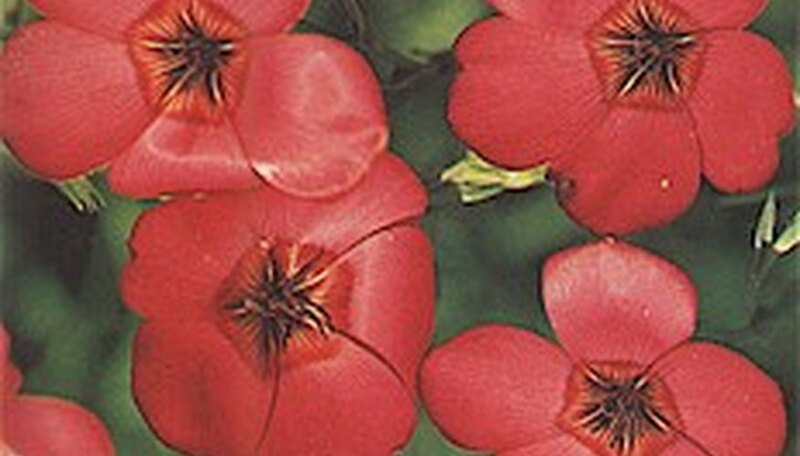 This variety is often grown as an annual because it is short-lived, but it will self seed in the garden if allowed. It grows to 3' tall, and includes single, semi-double, and double cultivars. This is a popular hybrid with dark red flowers. It grows 18" to 24" tall. This booklet will introduce you to 10 beautiful perennials that are undemanding, wonderfully versatile, and adaptable to a variety of growing conditions. They’re not particularly fussy about soil conditions, and they can tolerate both drought and overwatering, as long as they have adequate drainage. These wonders of the perennial world grow quickly, require little maintenance, and reward you with a kaleidoscope of color and gorgeous foliage year after year. Japanese Aucuba is a shade tolerant, evergreen shrub that is often seen planted under large trees or as a foundation planting on the north and east sides of homes. It grows to fifteen feet in height with a rounded or upright-rounded shape. Leaves are shiny and green, and some cultivars have yellow or white markings. The blue or purple flowers bloom in late winter or very early spring. Female plants produce three-inch clusters of bright red berries in the fall if there is a male plant nearby. Berries usually remain all winter. They do well in containers on patios or indoors. This shrub reaches its full height in about 10 years. A. japonica needs very little attention and rarely needs pruning. A spring feeding with cottonseed meal will promote growth and encourage berry production. Roots are shallow, so don't cultivate near the plant. Leaves will burn in the sun. A. japonica transplants easily, and is very tolerant of pollution and seaside conditions. Established plants will withstand drought. A. japonica 'Crotonifolia' -- white-spotted leaves. Hydrangea are easily recognized by their enormous clusters of summer-blooming white, pink or blue flowers. Nowdays, you can also find attractive reds, purples, and other varieties too. They make a nice hedge, and also look good as a solo specimen, or in large containers. The most attractive blossoms are unable to produce seeds. these sterile blossoms are flat, four-petaled and 1 inch or so across. Some plants bear clusters containing only sterile flowers, but most have clusters that include fertile ones, tiny starlike blossoms usually at the centers of the clusters. Big-leafed hydrangea are available in blue, white or pink. These varieties are often forced into early-spring bloom by florists for sale as a house plant. Flower clusters are 4 to 8 inches across but some varieties have 15-inch clusters. Plants may blossom when only 1 foot tall; most garden plants become 3 to 6 feet tall. They have 6- to 8-inch shiny coarsely toothed leaves. All varieties are useful in borders and near a house. The flowers may range from pink to blue depending on the soil's acidity. Hydrangeas grow in full sun or light shade. To liven up a shady area, choose light colored blossoms. To improve moisture retention and soil texture, ammend with compost or leaf mold before planting. Big-leafed hydrangeas require acid soil: pH 6.0 to 6.5 for pink flowers, pH 5.0 to 5.5 for blue ones. For seaside gardens, choose big-leafed hydrangeas. For hedges, plant hills-of-snow hydrangeas 2 to 3 feet apart. Propagate from softwood cuttings of young growth in late spring or early summer, from semihardwood cuttings of more mature growth in mid- or late summer, or from hardwood cuttings of dormant leafless growth in fall or winter. Hills-of-snow and oak-leafed hydrangeas can also be propagated by digging up and replanting the underground branches known as suckers and by forcing a branch to grow roots by ground layering. All ivies belong to the genus Hedera. These climbing vines cling to upright surfaces by roots that sprout from their stems and work into any available crevice. The vines can be trained to cover forms shaped of wire stuffed with sphagnum moss. They look great growing over the edges of containers. 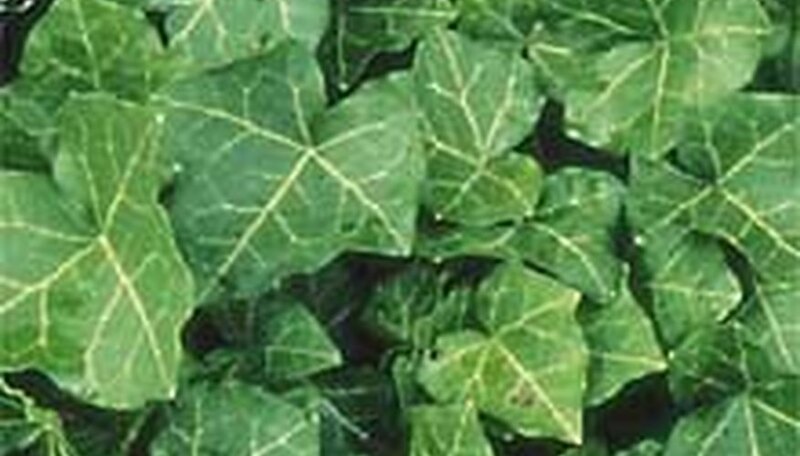 English ivy (Hedera helix) has 2- to 4-inch-long three- or five-lobed dark green leaves, and there are varieties that exhibit some of the oddest-shaped foliage known. There are round or heart-shaped leaves with no lobes at all, as well as others with three, four, five or seven lobes as small as 1/2 inch and as big as 6 inches across; still others are wavy, curled, crested, cupped or ruffled. In color they combine green with white, cream, yellow or pink. Some popular varieties are 'Silver King', with green-and-white leaves; 'Buttercup', whose leaves are yellow; 'Manda's Crested', whose star-shaped leaves have wavy-edged lobes; and 'Caenwoodiana', a particularly durable type whose dark green leaves are accented by prominent ivory-white veins. All grow well in water. Ivies like four or more hours a day of direct sunlight, but will grow fairly well in bright indirect light, such as that reflected from light walls; if only artificial light is available, provide at least 800 foot-candles. Keep the soil barely moist. Newly purchased or potted plants should not be fed for three to four months; established plants should be fed every three or four months. Repot when containers become crowded. Cuttings will root easily. Use a good potting soil and feed well. Pinch out tips to encourage bushiness. Watch for spider mites, mealybugs, and white flies. This attractive, easily grown annual from North Africa is happy in most any soil. Colorful, two inch flowers bloom atop 18-inch stems. Most varieties bear red blossoms, but some have bluish purple, pink or white flowers with a satiny appearance. The leaves are narrow and grasslike. Common flax, from which linen and linseed oil are made, is rarely used as a garden flower, but it makes an attractive annual, growing 2 to 3 feet tall and bearing sky-blue, or occasionally white, flowers. Flax is very difficult to transplant, so it's best to sow the seeds outdoors where you want them to grow any time in the fall, or as early in spring as you can prepare the soil. Space the seeds so that the plants will stand 8 to 10 inches apart. Sow more seeds at intervals of three to four weeks to have successive crops of flowers. This is necessary because each plant blossoms only three to four weeks. Flowering flax needs full sun and well drained soil. Expect flowers about 100 days after sowing seeds. Flax makes a colorful border plant, and blooms most profusely where summers are cool. 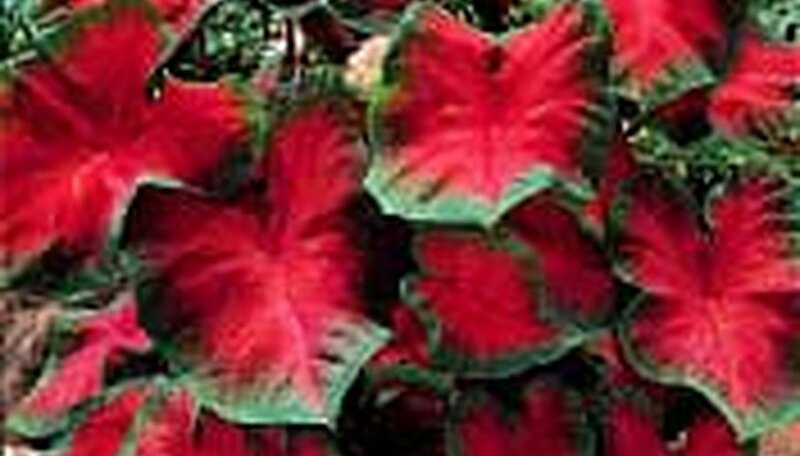 The hybrid caladiums on the market today are the result of extensive breeding between tropical species. The beautiful, anglewing shaped leaves enliven the shady parts of the garden, and they can also be grown in containers. They do well with other shade-loving plants such as hostas and ferns, but they are sufficiently showy to stand alone. Start plants in warm soil, preferably heated from the bottom. Plant outside only when the soil has thoroughly warmed up. Be alert for slugs and keep the flowers removed so that more energy goes into leaf production. Grow your garden up. Place vining vegetables like cucumbers on a trellis. Grow pole beans rather than bush beans -- you'll get three times the yield from the same space. Make use of spot gardens. These are sunny spots where you can plant a few vegetables. Salad greens are ideal for spot gardens. 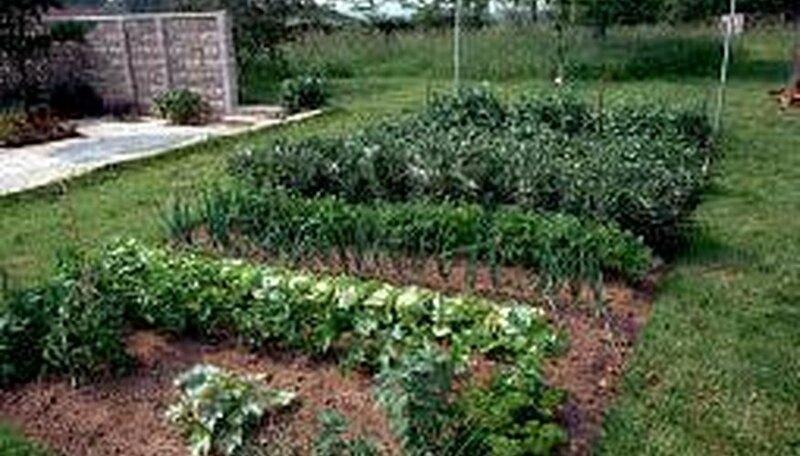 Don't plant too much of one vegetable. Two zucchini plants will produce more than enough. Choose tomato and pepper varieties that produce small fruit. The smaller the size of the fruit, the more fruit the plant will produce. Interplant fast maturing crops such as lettuce, spinach and radishes with slower crops such as beans, squash and melons. By the time the slow crop grows to fill the space, the quick crop will be harvested. This plant gets its name from the prominent, dark gray pollen-bearing stamens that stand out like pins from the center. Scabiosa has an exceptionally long bloom period for a perennial. Beginning in spring, the 2- to 2 1/2-foot stalks bear 3-inch blossoms, and they will continue to bloom into early fall if the plants are deadheaded regularly. In addition to the light blue of the basic species, mauve, lavender, violet, blue and white varieties are available. Dwarf scabiosa is neat in appearance and makes an ideal edging. This nearly trouble-free plant is a heavy bloomer, and makes an excellent cut flower. Deer tend to avoid scabiosa, while butterflies are attracted by them. Scabiosa was voted Perennial Plant of the year 2000 by the Perennial Plant Association. Pincushion flowers will grow in Zones 3-10 except in Florida and along the Gulf Coast. They do best in full sun and need soil that is moist during the growing season and very well drained in winter. Place plants 12 to 15 inches apart. New plants can be grown from clump divisions or from seeds sown in summer for blooming the following year. Divide clumps every two to four years to prevent overcrowding. Bishop's weed is an ideal, rapidly spreading grouncover for difficult areas. It provides a thick mass of coarse green and white leaves with saw-tooth edges. It grows to 8-10 inches and dies down in winter. Clusters of small white flowers come into bloom in midsummer. Bishop's weed is suitable for areas where barriers can contain its vigorous growth, such as a strip between a house and a paved path. It will grow in almost any soil in sun or shade in Zones 3-10 and will thrive under most trees. It isn't discouraged by heavy clay soil. Plant in spring, setting plants 6 to 12 inches apart. New plants are propagated by dividing old ones in early spring while dormant, or in early fall when the season's growth has matured. Aegopodium is an aggressive grower best used by itself to underplant larger woody trees and shrubs. Sometimes, toward the end of hot, dry summers, the foliage will look tired and bedraggled. Just run the lawn mower over it and water it deeply a few times to encourage fresh new growth. 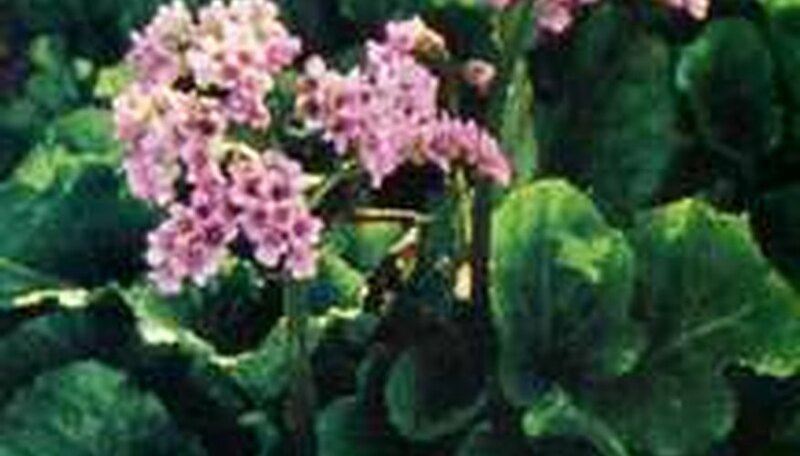 Bergenia has large handsome leaves and their 3- to 6- inch clusters of delicate flowers, which appear in spring. Flower colors range from deep purplish pink to pale pink and occasionally white. Leaves are 8 to 10 inches across with sawtoothed edges, and are attractive even after the flowers fade. They remain green throughout the year in southern regions and turn a handsome bronze in the fall in cold areas-the plants are often used near the front of a border or along a path. The huge oblate leaves of bergenia provide a strong contrast for most any other plant, especially Ferns and dicentra. The plant is useful as a groundcover but spreads slowly. Bergenias can be grown in Zones 4-10 except in Florida and along the Gulf Coast. They thrive in almost any soil in full sun or light shade, although they prefer light shade in hot areas. They tolerate a wide range of moisture conditions, growing slowly in dry areas and rapidly in constantly wet spots, such as beside a brook or pool. Set plants 12 to 15 inches apart. In Zones 4-6 cover the plants with a mulch of salt hay or straw to shade the leaves from winter sun. New plants can be started by dividing and resetting clumps when they become overcrowded, usually after three or four years of flowering. The best time to divide or set out new plants is early- to mid-autumn. Lily-of-the-valley will spread slowly to form a thick carpet of green that remains attractive from early spring to late summer. 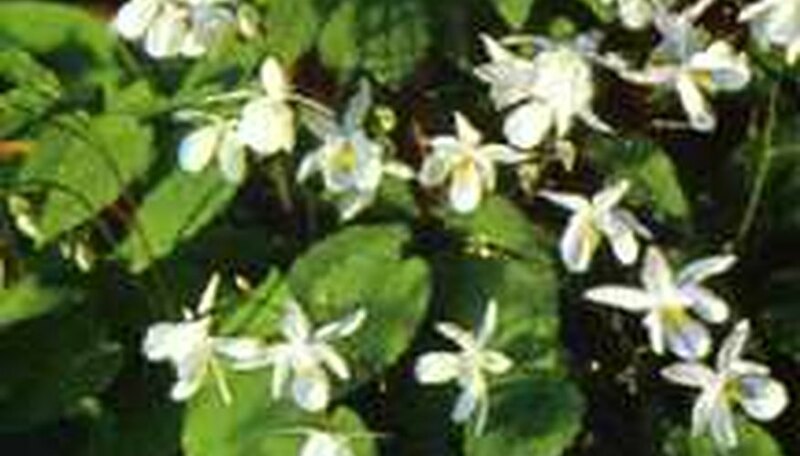 The white bell-shaped flowers brighten areas of dense shade beneath trees and along north walls where few other plants will grow, much less bloom. It grows well in Zones 2-7 and is rarely troubled by pests and diseases, this easy ground cover requires virtually no care, although it benefits from a mulch to conserve moisture. The foliage dies down in fall, leaving the ground bare until spring. It won't survive well in high-traffic areas. Plants live for decades in cool climates but die out quickly where summers are hot. Plant in very early spring or in fall, setting them about 4 inches apart, or plant 6- to 8-inch sods with their centers about 1 foot apart at any time the ground can be worked. Propagate by digging up and dividing pips when plants are dormant in early spring or fall. Lily-of-the-Valley spreads slowly through underground and makes an attractive, fragrant groundcover. New plants can be propagated by dividing clumps at any season. The delicately fragrant flowers are often used in wedding bouquets. Artemisias are valued for their silvery-white foliage. You'll creamy-colored flowers that are prized mainly for their fragrance from mid- to late summer. 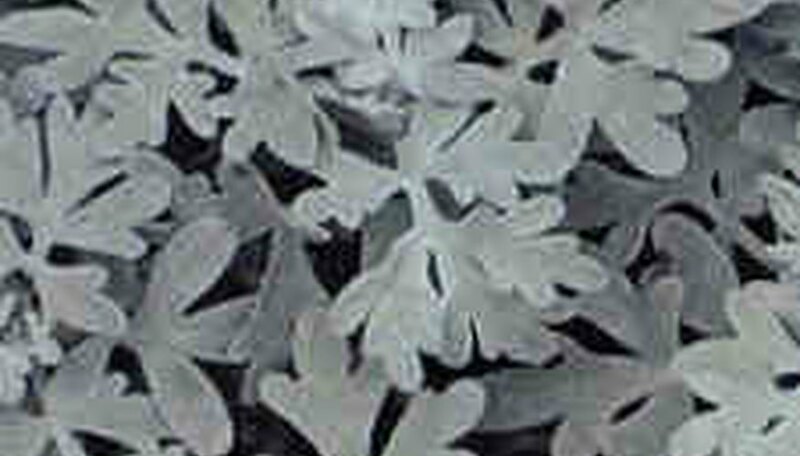 The frosted, fine textured leaves of artemisias blend well with coarser-leaved plants such as daffodils, hydrangeas and hibiscus. Low growing varieties such as Silver brocade make great edging plants. Most varieties will form a dense, compact mound than is noninvasive and prefers to be left undisturbed. For the best show, combine cool-looking artemisia with hot colored flowers in shades of yellow, pink and red and dark green foliage. If planted in a gap left by plants that have been removed from the garden, artemisia will ease itself into the void without crowding its neighbors. 'Silver Mound' - lush silvery leaves and slender stems. 'Silver Brocade' - has deeply cut silver foliage and can spread up to two feet. It looks good in a rock garden and as an edging plant. It grows to only a foot high. 'Powis Castle' - shiny, silver-frosted foliage that stand up well in heat. 'Silver King,' - grows about 3 feet tall is excellent for cutting to use in fresh arrangements, and also dries well. 'White Mugwort' - grows 4 to 5 feet tall and has dark green leaves with silvery undersides. Artemisias grow well in Zones 3-7. It thrives in extreme heat and poor soil, and will withstand full sun or light shade. Excellent drainage is essential. Too much moisture in the winter will cause the roots to rot. Set the plants 12 to 18 inches apart. Artemisia can be propagated by division, except for 'Silver Mound' which is propagated from stem cuttings in spring and summer. Clumps rarely spread and prefer to be left undisturbed. Plants will become a little leggy in the fall, but it's best to wait until spring to prune. Plants pruned in fall often don't survive the winter. This hardy and reliable cottage garden plant makes a perfect backdrop for your mixed borders, and adds structure to the casual garden. Hollyhocks look especially nice when colors are mixed. They come in white, yellow, pink, red and crimson, with both single and double strains available. Plants sizes vary greatly--from 2½ to 7 feet in height, and the tall spikes are covered with flowers from midsummer to fall. Although it is actually a perennial, it is sometimes grown as a biennial and discarded after flowering to avoid rust infestation, although some of the newer varieties resist rust. 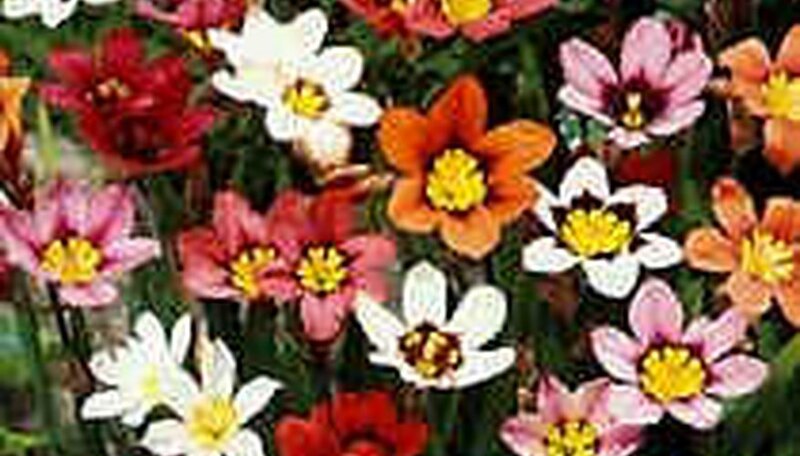 Early flowering strains are sometimes treated as annuals. Hollyhocks are easy to start from seed. Start them indoors 6-8 weeks before the last frost or sow directly in the garden when the soil is workable. Set out larger, nursery-grown plants in spring for summer bloom or smaller ones in fall for bloom next year. Plants should be spaced two feet apart. The ideal location will have average soil and lots of sun. Rich soil will promote tender growth that is weak and will need staking. These weaker plants will be prone to disease. Most hollyhocks self-sow readily if you let a few flowers go to seed. Most varieties need to be staked in windy areas. Spider mites can be hosed off and Japanese beetles can be handpicked or if they become a problem. Rust disease shows up as reddish spots on the leaves and stems and can quickly disfigure or destroy a planting. Removing infected and dead leaves can help. These dainty little flowers come in a variety of flower types and colors, and are the delight of the shade garden. Most are easy to grow and look great in an alpine or rock garden. Set out the plants in spring, spacing them 6-12 inches apart. Primrose prefers peat soil with lots of moisture and partial to full shade. They fare poorly in hot climates. Most varieties prefer an acid pH (5.5-6.5,) however Auricula primrose prefers a neutral pH (6.0-7.5.) Once their flowering period is over you can dig up and divide crowded clumps. You can propagate by rooting the little side rosettes that appear after flowering. They self-seed readily but the seedlings of many hybrids will not breed true, and you may be disappointed in the results.